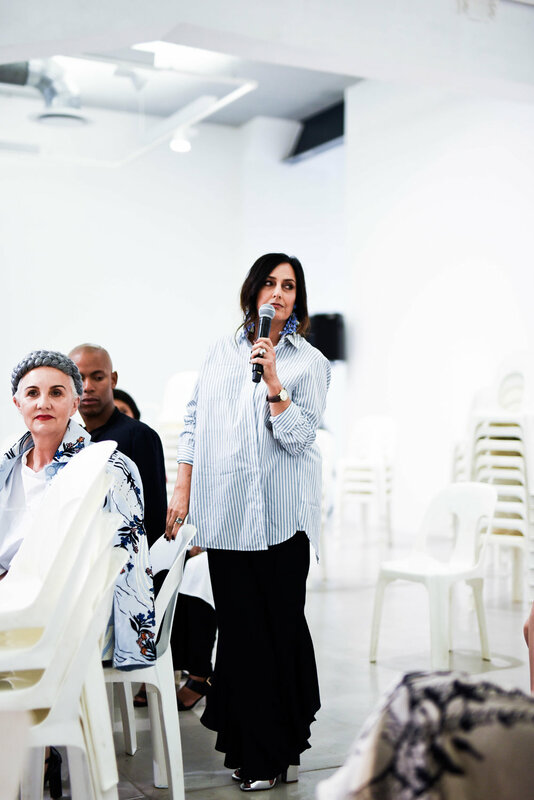 By now you must have noticed that ruffles are back in trend and that this season is all about making a statement via ruffled tops, skirts, shirts or trousers. WHY I LOVE IT - Whether they're framing the face or spiraling off the hips, architectural ruffles build the foundation of a dramatic evening look. These stiff, austere waves are more modern than the floppier furls of past seasons, making this feminine detail feel new again. Ruffles - ranging from delicate frills to oversized, dramatic decorations on the apparel- are the winners this season. But, if you think you are someone who can't carry off the ruffled look, then let us tell you that the trick to pulling off that flounce is to make sure the ruffle is the central point of your ensemble. Also, one has to see to it that the ruffle on the outfit is structured well as opposed to a bunch of limp as it can make the outfit look unattractive. This season, ruffles have been one common element on everything from sleeves, necklines, collars to hemlines. For those who think that ruffles can be a bit overwhelming, they can go in for outfits that have ruffles on the bottoms of skirts, trousers and even dresses for that matter. It doesn't matter if you opt for long or short sleeves, ruffles are the perfect statement added to your outfit. A ruffle detail has the ability to drastically change the way an ensemble looks and can turn the piece into something special for you. One can also experiment exaggerated, layered sleeves for a more dynamic look. Since ruffles are everywhere to be seen, shirts cannot be spared from the trend. 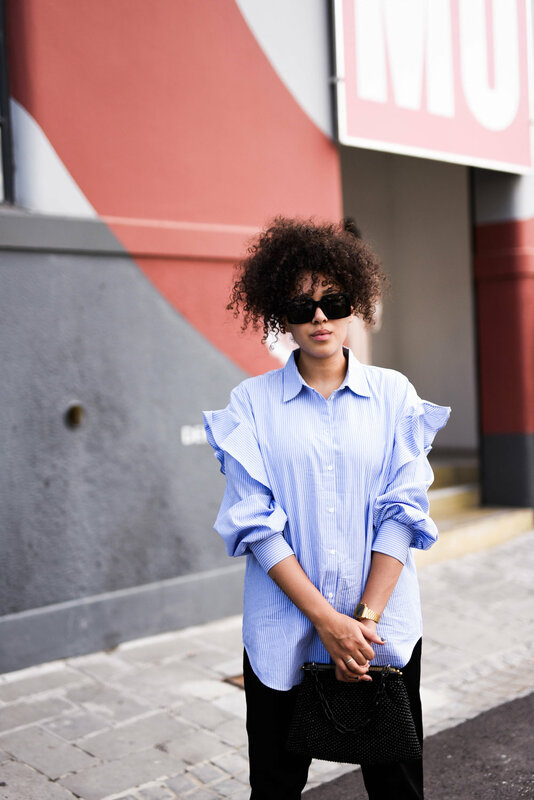 Ruffled shirts are the in thing and can be donned even at office. A white ruffled shirt is something that can make one look elegant yet classy. But too much dramatisation on the shirt must be avoided if you are opting to wear the apparel in office. Ruffles surrounding the neckline or collar is the perfect way to draw attention to. A ruffled shirt can give you the smart casual look as well. Ruffles right across on a one-shoulder dress or on the bust on an off-shoulder dress can work wonders. For a minimalistic yet chic look one can opt for ruffles on the bottom of the dress too. And for those who like going a little over the top, you can experiment with layering ruffles. To add curves ruffles should be worn on top so that the frills can give the illusion of a bigger bust. In fact, one can have frills down the centre of a dress or around a v-neck which will draw the eye vertically for a slimming effect. You could look frilly and yet not fluffy by opting for a ruffled blouse according to your body type. Ruffles can be easily transitioned from day to night. A ruffled top could well be worn with shorts for the day and paired with a jeans for a dinner date. In fact, even back ruffle tops can be a great option.